Due December 4, the band’s 7th album and follow-up to 2014’s “Ghost Stories” was recorded in Malibu, Los Angeles and London and produced by Norwegian duo Stargate together with the band’s long-time collaborator Rik Simpson. The project features a variety of guest appearances including Beyoncé, Noel Gallagher, Tove Lo and Merry Clayton. 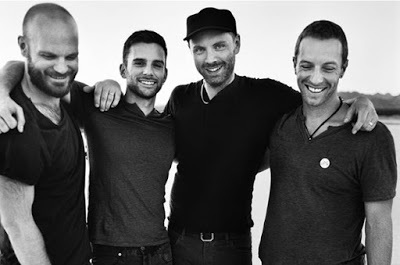 Coldplay debuted the tune “Amazing Day” from the album during its September 26 performance at the Global Citizen festival in New York. The group plan a world tour in support of “A Head Full of Dreams”, with shows expected to begin in early 2016.